We want to see your army! 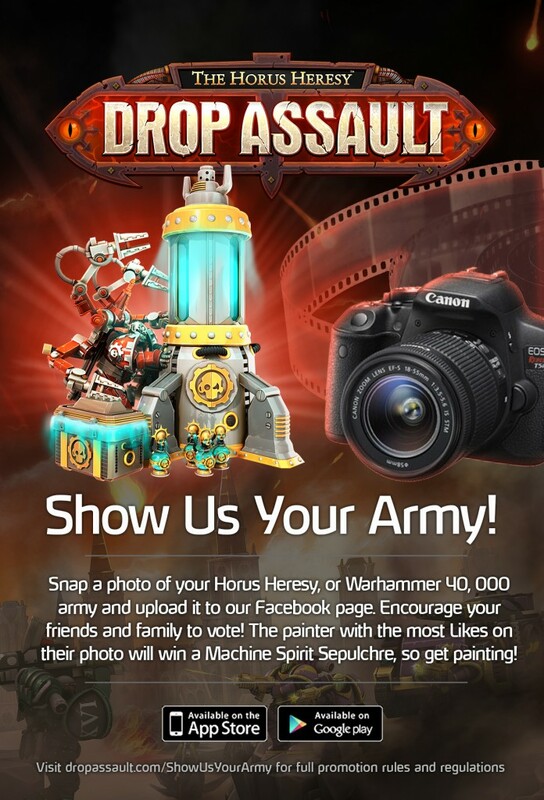 Snap a photo of your Horus Heresy or Warhammer 40,000 army from Forge World (not in-game) and upload it to our Facebook page. Encourage your friends and family to vote. The eligible entry with the most Likes will win a Machine Spirit Sepulchre containing a whopping 6,750 Machine Spirit. Get painting, folks! One photo entry only, please. Click here for full details.